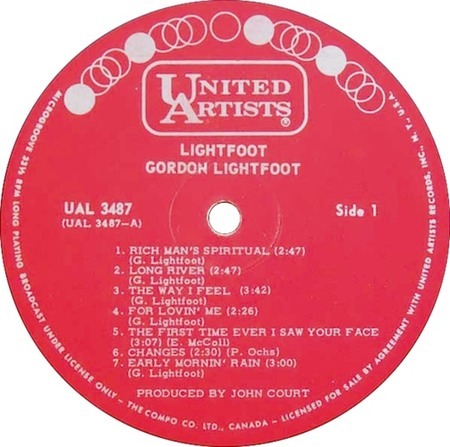 Gordon Lightfoot recorded his own version shortly before Peter, Paul and Mary's hit version of 1964,Released in 1965 by Warner Bros. Records, label 5496, but his recording was not released until 1966. Gordon Lightfoot was born on 17 November 1938 in Orillia, Ontario (Canada). He made several recordings in 1960 as a member of the Two Tones.